Danny Ainge was an important piece of two Boston Celtics Championship teams in 1984 and 1986. Over his career he averaged 11.5 points, 2.7 rebounds, and four assists per game in a total of 1,042 NBA games. Ainge currently serves as the President of Basketball Operations for the Celtics and has led the team as an executive to another Championship. On the front left tail is the Sand-Knit manufacturer’s tag size “44”. 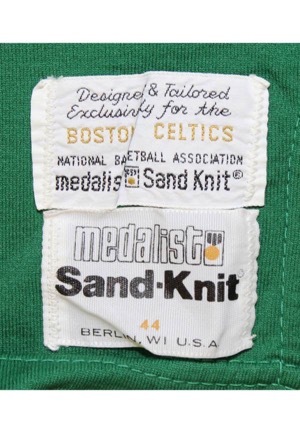 Adjacent above is the “Designed & Tailored Exclusively for the BOSTON CELTICS” tag. On the right inseam is a flag tag with jersey materials and washing instructions. Across the chest reads “CELTICS”. 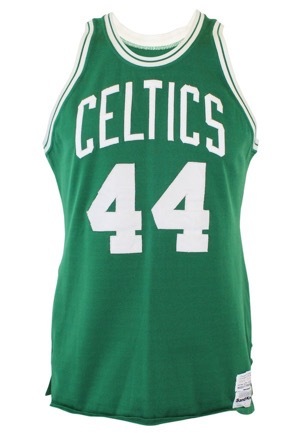 Adjacent below and on the back is the player number “44”. 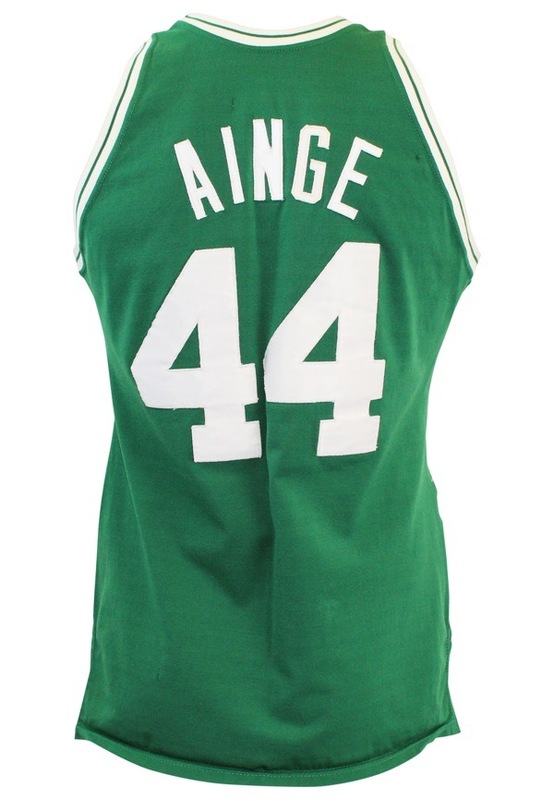 Across the back is the player name “AINGE”. All numbering and lettering is done in the same white tackle twill. This jersey is properly tagged, was presented to us as game-used and in our opinion shows outstanding use. Accompanied by a LOA from Photo-Match.com confirming the match as well as grading the jersey a perfect 10.